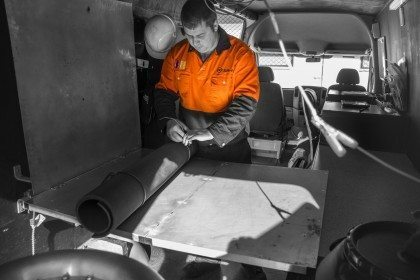 HV Testing is required by various standards and legislation on a wide variety of Electrical Safety Items and Personal Protective Equipment, to ensure they remain safe and are providing the level of protection that the worker requires. Electrical Safety Products and Personal Protective Equipment cannot be visually confirmed as providing the required level of protection, so they are require electrical testing at regular intervals to verify if the insulation is providing adequate protection. Testing can be conducted from 2.5kV, up to 300kV. Mobile Test ‘n’ Cal is third-party Accredited to ISO17025 (NATA), ISO 9001:2015, and also AS/NZS4801:2001. This means you can rest assured that all testing work conducted on your site by us, will be to the highest safety standards in the entire testing industry. 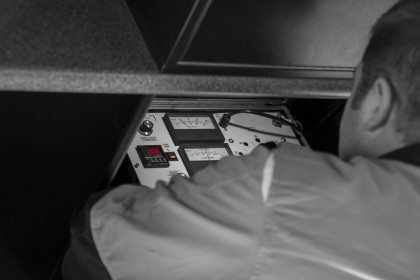 To find out more about how we can assist with your HV testing needs or to book your equipment in, please visit our Online Booking page, email us, or call us. Australia: 1300 662 119. New Zealand: 0800 123 682.